The Texas State Capitol, located in Downtown Austin, is the fourth building to house the state government of Texas. The capitol building contains the chambers of the Texas Legislature and the office of the governor. Originally designed in 1881 by architect Elijah E. Myers, it was constructed from 1882 to 1888 under the direction of civil engineer Reuben Lindsay Walker. A $75 million underground extension was completed in 1993. The building was added to the National Register of Historic Places in 1970 and recognized as a National Historic Landmark in 1986. 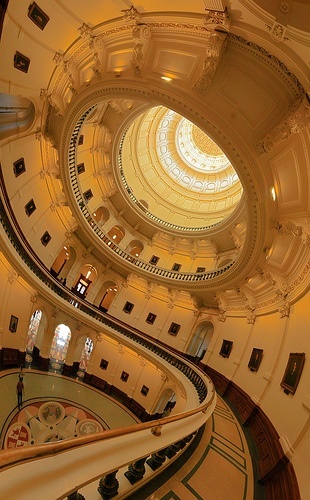 The Texas State Capitol building is 308 ft (94 m) tall.